The Land Rover Defender 90 (1985) is an iconic British four-wheel drive off-road SUV produced by Land Rover. Introduced in 1984 as the Land Rover Ninety named after its 93” | 2.36 wheelbase, the Defender is designed to handle a variety of challenging all-terrain surface conditions. Popularly, the Land Rover Defender is recognized for its legacy of providing versatile support for British expeditions and humanitarian efforts around the world. 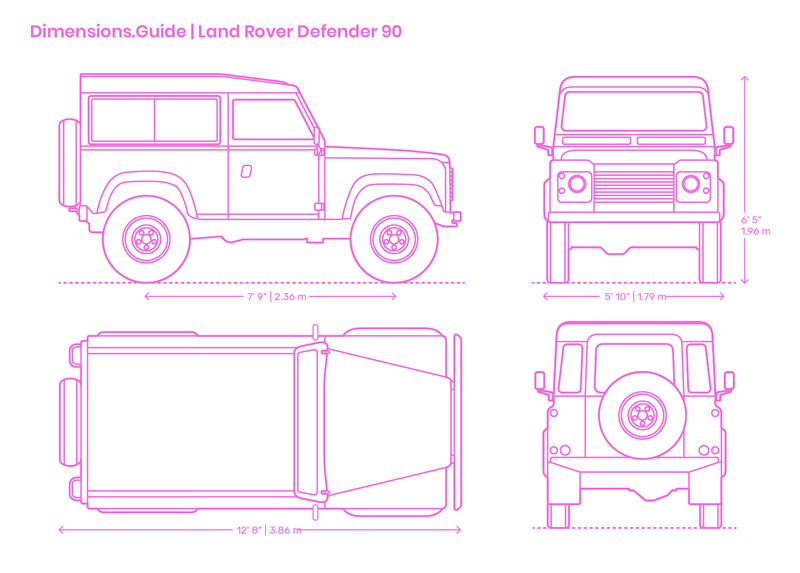 The Land Rover Defender (1985) has an overall length of 12’8” | 3.86 m, width of 5’10” | 1.79 m, and height of 6’5” | 1.96 m.